HARRISBURG, PA – November 23, 2009 – (RealEstateRama) — Consumer protection lawsuits were filed today against four loan modification or “mortgage rescue” businesses, along with their officers, who are accused of deceiving Pennsylvania consumers seeking help modifying their mortgage loans. Foreclosure Awareness Inc., of Bensalem and Boca Raton, Florida, along with owner Michael Squillace. Nationwide Foreclosure Prevention Center LLC, of Williamstown, NJ, and owner Robert P. Valentin. Best Interest Rate Mortgage Company LLC, of Huntingdon Valley, PA and Westmont, NJ, as well as company President Michael J. Diplacido. U.S. Mortgage Mod LLC, of Philadelphia, and owner Marc Dambrosio. Corbett said that in addition to false or misleading claims about the ability to actually modify loans, some of the companies named in these lawsuits also allegedly used deceptive mailings to consumers designed to appear as if the correspondence came from a government agency or government-related program. Additionally, the companies did not provide consumers with state-required financial disclosure information, failed to inform consumers about their five-day right to cancel and accepted up-front fees without posting the necessary surety bond or trust account. Other companies were not licensed by the Pennsylvania Department of Banking to handle mortgage loans or loan refinancing. Corbett said the consumer protection lawsuits announced today are the result of an ongoing statewide investigation into loan modification services being conducted by the Attorney General’s Bureau of Consumer Protection, along with the state Department of Banking, the Pennsylvania Department of State and the Pennsylvania Housing Finance Agency (PHFA). Corbett thanked those agencies for their continued cooperation and assistance. According to the consumer protection lawsuit, Foreclosure Awareness Inc. failed to deliver the promised services to consumers, resulting in complaints from consumers across the country. Corbett said the company also allegedly operated as a “credit services organization” without complying with Pennsylvania law, including requirements involving contracts, the mandatory five-day right to cancel and the posting of a surety bond or trust account with the Department of State, and also failed to register as a telemarketer. According to the consumer protection lawsuit, the company made numerous misleading advertising claims, including deceptive statements proclaiming, “We are an Attorney Based Company!” In reality, Nationwide Foreclosure Prevention Center had only one employee, owner Robert P. Valentin, who is not an attorney. Corbett said the company is accused of not providing services that consumers were promised, along with failing to inform consumers of their five-day right to cancel a credit services contract, not posting the required surety bond or trust account with the Department of State, operating a mortgage loan business without the required license from the Department of Banking and conducting telemarketing in Pennsylvania without registering with the Attorney General’s Office. Corbett said that Best Interest Rate Mortgage Company, operating in both Pennsylvania and New Jersey, allegedly used deceptive direct-mail advertisements that were designed to appear as if they were sent by a government agency. The company is also accused of misrepresenting the benefits of its services via their website and conducted telemarketing in Pennsylvania without registering with the Attorney General’s Office. According to the lawsuit, Best Interest Rate Mortgage Company violated the state’s Credit Services Act by accepting upfront payments for their services without having a bond or trust account in place with the Department of State. Additionally, the company’s business practices allegedly violated the Mortgage Act under which they are licensed by the Department of Banking. Corbett said that U.S. Mortgage Mod allegedly used misleading mailers and also made misrepresentations to consumers about its ability to help consumers obtain loan modifications. 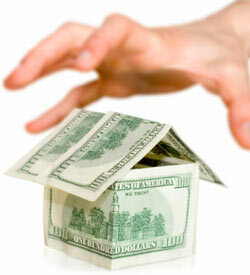 Additionally, the lawsuit alleges that U.S. Mortgage Mod improperly accepted loan modification fees upfront, without the required bond or trust account posted with the Department of State, and engaged in telemarketing activity in Pennsylvania without registering with the Attorney General’s Office. Corbett said that all of the consumer protection lawsuits seek restitution for all consumers who were victimized, as allowed by law, along with civil penalties, fines and other court-ordered relief. Consumers are urged to contact the Attorney General’s Bureau of Consumer Protection if they believe they have been victimized by these companies, along with other “mortgage rescue” or loan modification businesses. Concerned Pennsylvania residents can call the Attorney General’s Consumer Protection Hotline at 1-800-441-2555 or file an online consumer complaint. All four lawsuits were filed today in Commonwealth Court, in Harrisburg, Pennsylvania, by Senior Deputy Attorney General John M. Abel of the Attorney General’s Bureau of Consumer Protection. Required payment of large up-front fees. Claims that negative information can be deleted from your credit report. Businesses that rush you through paperwork without giving adequate time for you to study and understand all the documents you are signing. Instructions not to contact your own lender, lawyer or personal financial adviser. Telemarketing sales calls to phone numbers registered on the state or national “Do Not Call” lists. Corbett reminded consumers that free assistance is available from certified Housing Counseling Agencies by contacting the Pennsylvania Housing Finance Agency at 1-800-822-1174.